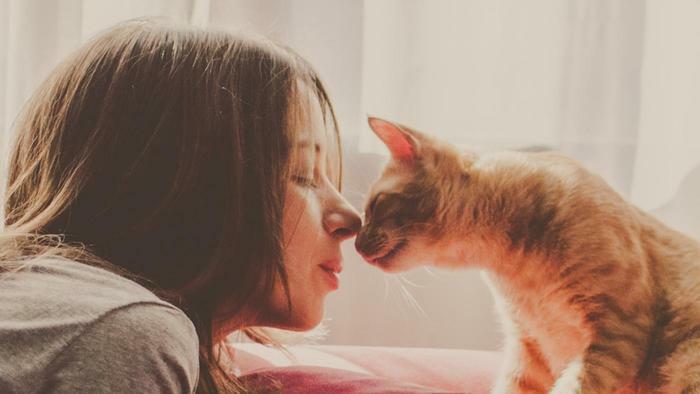 If you decide that rehoming your pet is the best option, keep in mind that despite the best efforts of shelters and rescues to care for their animals, your home is usually the best and safest place for your pet while you search for an adopter. By taking on the task of finding your pet a home, you can also reduce competition for limited space and resources in shelters or rescues. Here are some tips for placing your pet in a loving new home. We are here to also help with your advertising needs or any advise. Make your pet more attractive to potential adopters. Have your pet vaccinated and checked by a veterinarian. Making sure your pet is spayed or neutered may also make them more likely to be chosen by a new owner. *When funds are available, we are able to help with the spay/neuter of your unwanted pet. Please see at the bottom of this page for helpful word documents for generic contracts, questions to ask potential adopters, and locations for discount spay and neuter. That way you can make sure that your pet finds a great home. About the attachments: Here is a ton of information and attachments to aid you in your adoption process. I’ve included 4 attachments. A generic contract (THIS CONTRACT does not have contact info on it. Please insert your name, phone number, and email address in the section labeled ADOPTEE CONTACT INFORMATION) before printing this. Or please hand write in the information if that is easier. With this contract I make a copy of it and give one copy to the new parents and I keep one myself (You can edit/delete parts of contract as needed). Also, attached is all the locations we know of for DISCOUNT SPAY AND NEUTER, so if cat is not fixed prior to adoption the new adopter knows where to fix their cat/kitten at a discount. Always recommend getting kitten fixed by 6 months of age to prevent any bad habits from forming (yes even females can have bad habits). Attached is questions to ask potential adopters, as well as a 4 page INFORMATIONAL PACKET that has a ton of helpful information in it (what to do in certain situations, toxins in home, why spay and neuter, shot clinic info). Great for first time cat owners. Also has the list of discount spay and neuter locations in it as well. You can also email a copy of this to new adopter if you do not want to print out. Questions to ask when a potential adopter calls: (also in a word document)*What animals do you currently have? *Ever had a cat before? If yes, what happened to your last cat? (got hit by car, had to move and gave to humane society, etc. would NOT be good homes). *Do you rent or own? If you rent, is it okay to get your landlords number prior to you coming to see the animal? Sometimes people will say, “Let me call you right back with that info,” and NEVER call back. That weeds out the people sneaking the animal in and when they get caught they have to find the cat a new home QUICKLY which will usually result in a humane society. *How long have you lived in your area or home? If people move place to place then they are usually pretty unstable which would not make a good and FUR-ever home for an animal. *Do you currently have a vet that you use? What is the vet clinic’s name? I’ve called a vet before to make sure the potential adopter brings in their pets and gets them spayed/neutered. ***Also, if it is a boyfriend/girlfriend situation I ALWAYS ask, “Sorry I have to ask this question, but if you guys break up, who would get the cat?” If it is a younger person who just moved out on his/her own, I ask for their mother or father’s phone number and if the mom or dad would be willing to take the cat in their home if you decided to move back home. That is also the reason I always obtain TWO phone numbers. The person’s cell then the boyfriends, or mom and dad, or someone. Now, I don’t always ask all of these questions. You can get a pretty good vibe (sometimes and especially now that I’ve been doing this for 7 years) about someone. These are just questions that you may want to ask. If it doesn’t give you an option to repost the ad and you know it has been more than 3 days, then delete ad then repost it. It brings the ad to the top of all the listings. Super important, so people can see your ad and it doesn’t get lost with everyone else’s. I know how important this is and I renew ALL my ads every 3 days. If you don’t renew the ad then don’t expect to find a home for your pet quickly. (I use adopt a pet, Pet finders, Furry Nation Salvation Facebook page and my own, and Craigslist gives the majority of my adopters. More people know about that site than others! Now, you don’t have to be as lengthy as I am with my CL ad. I know I scare plenty of people away and I’ve had people email me to tell me this, but I am okay with keeping my fosters a little longer and finding them good homes. I help many people out and do a very condensed version of my ad and they ALWAYS find homes quicker than I do. Usually the people that contact me need to find homes for their cats or kittens in a very unrealistic time frame so a condensed version of this ad below is the way to go! AGAIN, REPOST THE AD EVERY 3 DAYS!!!!! The use of videos and photos in your ad! GOOD PHOTOS IS A MUST!!! Take your time. It will be the first thing and impression they see!!!! People will be drawn more to a clear CUTE photo of a kitten than a blurry one where the kitten looks scared (Try to post clear ones vs. blurry ones also). USE OF VIDEOS: You can upload your video to Youtube and place a link in your craigslist ad. It is a great tool to aid in adoption process! I always put a youtube video in my ads with any kitten or cat that is skittish (needs time to adjust to a new person) or is over 6 months of age. People can get to know the animal before coming to meet him or her. Some take time to adjust and a video is a MUST! Having a video will also get you more exposure! A good video to post is one of her/him purring and being loving or a video of him/her playing with a string. MUST HAVES IN YOUR CRAIGLIST AD: Please ALWAYS include this in your ad: YOUR PHONE NUMBER IN THE BODY OF THE AD (Super super important, trust me..and No you won’t get weirdos that call you lol. I’ve done this for 7 years and have yet to have this happen to me). That adopter must show up with a cat carrier to adopt the pet (If they don’t have enough money for a cat carrier, then they do not need to adopt your animal). That you are willing to take the animal back if adoption is not working out (if you actually are). That way when it doesn’t work out the new adopter doesn’t resort to a kill shelter. *Don’t forget to place good, NON-blurry photos in the ad! If you take your time and post cute ones it will help greatly in finding a home for your kitty. *Scared to use craigslist? Please think to yourself. When a person comes from adopt a pet, pet finder, or Facebook does it make them a better person? NO! Please remember that regardless of the site the person comes from, you must ask them the same questions. Okay below is my ad ……. I will edit listing should anything change. Please read this listing before calling (sorry it is so detailed) thank you. THEIR STORY: Meet Alaska. He is a 2 1/2 year old male cat. He was abandoned by his previous owner and left to fend for himself for 2 months living in the woods! That is when some kind people took him in and wanted to give him a better life. He is GORGEOUS. He has thick white fur, with a few tan spots and two different colored eyes! He also has a half tail and we love to watch him move it around. We sometimes refer to him as “half tail” also. lol. He is neutered, FIV neg, dewormed, vaccinated, and on flea preventative. He is a nice fellow and very affectionate. He also loves to play and will throw his toys way up in the air! Just like any newly adopted pet, he will need a few weeks to get adjusted to a new home. He would do best in an adult only home or a home with older children. He doesn’t like screaming toddlers and will hide from them. He does tolerate my young children, but I prefer to give him a home he will truly enjoy. We do now give kisses to one another often. It has become our routine. Also, since he is in the rescue room I know how well he does with other adult cats and kittens! HE LOVES THEM! When I’m tending to the kittens in a cage (they are sick) he will jump on top of the cage and look inside. He also will hang out with the ones running around in the same room. He would do good with cats, kittens, and dogs. Here is a video of how he interacts with me. 2)An information sheet will be filled out (your personal information as well as mine). That way you can contact us at any time as you’ll have our info. 3) Adoption fee is $25 This is to help cover some of the vet bills. He is neutered, vaccinated, FIV neg, dewormed, and has flea preventative on. 1) You will receive a 4 page informational packet that can answer any questions you may have. Has information of places to get discounted meds and other things. You can call us at 386-295-2755 or message us on our facebook page.